A photograph of the Hollenberg Pony Express Station historical marker in Hanover, Kansas. This station was established in 1857 by Gerat H. and Sophia Hollenberg. 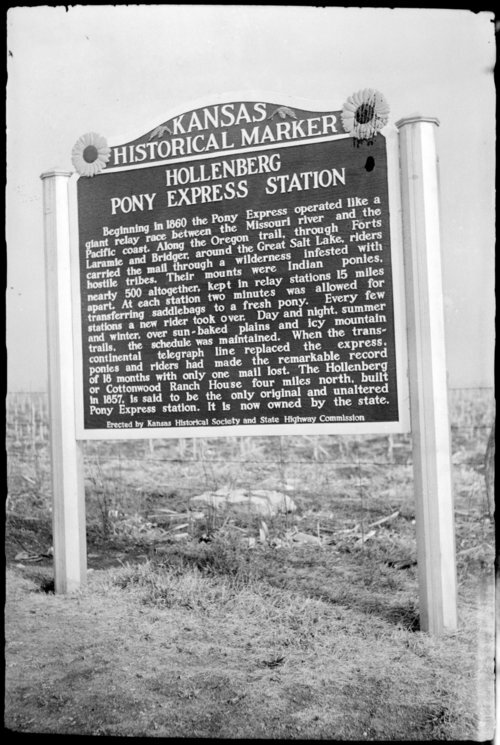 The Hollenberg Pony Express Station was added to the National Register of Historic Places in 1966, and earlier, as a National Historic Landmark in 1961.